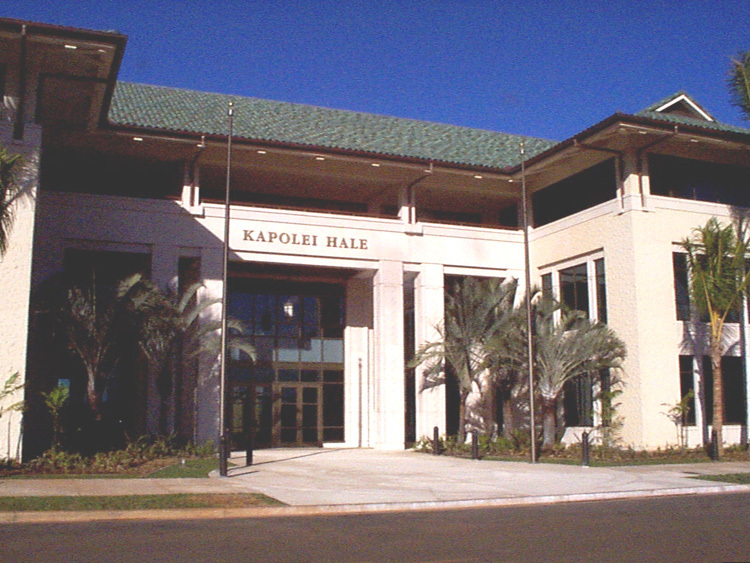 The Kapolei Civic Center is a 3 story, 160,000 square foot office building on a 4.25-acre site. Functions within the building include ground floor public facilities for permits, a satellite city hall, conference rooms, and food service. The upper floors consist of general office spaces and a raised-floor telecommunications center.